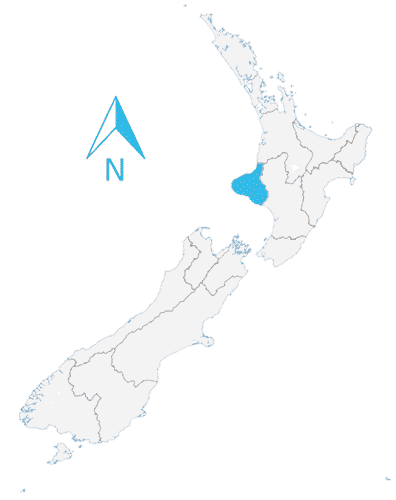 Beautiful Taranaki region is located at the Western tip of the central North Island. With the iconic, and perfect cone-shaped Taranaki mountain (aka Mount Egmont) in its heart, Taranaki is one of the most dynamic regions in New Zealand. The region, 5 hours’ drive from Auckland or Wellington, has recorded the highest median wage growth in the last 12 months, a recent Statistics New Zealand study reveals. The weekly median income rose from $844 to $959 in the year to September 25 – a 13.6 per cent bump on 12 months ago. Unemployment in New Zealand is sitting at just under 5% – which economists consider near to full employment. Taranaki is now considered the best place to work and buy a home in the country as the rate of wage growth has best kept up with the increase in house prices nationwide. With a “deliciously offbeat new gallery”, and “a magnificent hiking trail”, Taranaki is also a beautiful region to simply visit, and was ranked second in Lonely Planet’s top 10 regions in the world. If you are wanting to make a move to a great region, take our assessment as we can help facilitate visas and help you look for jobs.